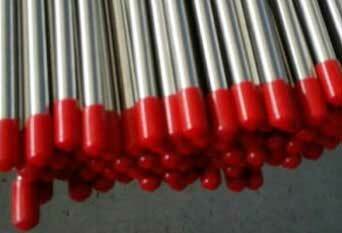 ISO Approved Manufacturer & Exporter of Stainless Steel Instrumentation Tubing. Stainless Steel Seamless Instrumentation Tubing, Stainless Steel 304 Instrumentation Tubes, ASME SA270 SS Instrumentation Tubing, ASTM A270 Stainless Steel Instrumentation Tubing, Stainless Seamless Instrumentation Tubing Supplier in Mumbai, India. Piyush Steel is a known stockiest and exporter of SS Instrumentation Tubing, which are being offered in a range of sizes to meet the different necessity of the clientele at leading market prices. These are the most adaptable and extensively used stainless steels. Our qualitative range of Instrumentation Tubes is being designed according to the international and national standard quality of raw materials. These tubes would meet the lowest content of carbon that is required in the stress table. We are the most authentic business unit involved in supplying and manufacturing an extensive collection of Stainless Steel Seamless Instrumentation Tubes to our clients. 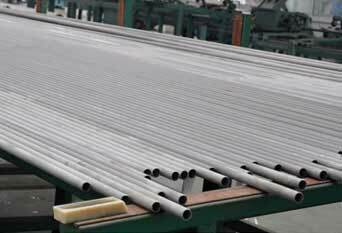 Stainless Steel 321 Instrumentation Tube, 317L SS Instrumentation Tubing, Most Reputed Manufacturer of Stainless Steel Instrumentation Tube, 904L Stainless Steel Instrumentation Tubes in India. Stainless Steel Instrumentation Tubing, ASTM A270 SS 310 Instrumentation Tubing Dealer, 317 Stainless Steel Instrumentation Tubes, 304L Stainless Instrumentation Tubing, Stainless Steel 316L Instrumentation Tube Exporter in India. Several kind of fluids and gases pass during these tubes at high pressure. It must be known that Stainless Steel Instrumentation Tubing is as well subject to straightening, pickling and annealing, operations. Meanwhile, this SS Seamless Instrumentation Tubes cannot be hard-edged by thermal conduct. 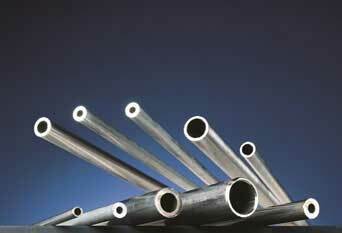 These Instrumentation Tubing exhibits excellent corrosion resistance to a wide range of corrosive environments. It also show features like good weld-ability and excellent machinability with or without addition filler metals. 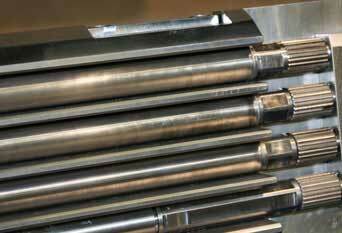 Considering above features, the application for Austenitic Stainless Steel Instrumentation Tubing is well thought-out as 'remarkably critical'. And thus these Instrumentation tubes are being used to join different pressure gauges, valves, pressure switches and flow monitors on ventilation and industrial piping systems. However, important players in both, nuclear power and oil and gas extraction industries, depend on Instrumentation Tubes for to lookout their instrumentation and control systems. Meanwhile, thousands of meters below the sea surface, these Austenitic Stainless Steel Instrumentation Tubes are located in control units for measuring devices, hydraulic pumps and more. Also, controlling and measuring devices that are important in the turbine and nuclear islands of reactors also have a requirement of our soaring performance tubes. We Supply Stainless Steel Instrumentation Tubes of various origin’s and companies like Nippon Steel & Sumitomo Metal, Sandvik, Sanyo Special Steel, Kobe Steel, Schoeller Bleckmann, Salzgitter Mannesmann Stainless Tubes, Tubacex etc. Standards : ASTM A 269, A 268, A 213, A 789, Equivalent to ASME, EN, JIS Etc.